My maternal grandmother, my Nan, is a superb cook. She would always have a plate of butter, at room temperature, at the breakfast table or on the kitchen side. This might be the mark of someone who knows how to eat well. Soft, salty butter: a prerequisite. I don’t remember having real butter in our house growing up. Toast was spread with margarine and cakes baked with the same. Laden with jam or marmite or chalky icing respectively, we didn’t feel like we were going without. We were none the wiser on the dairy-rich delights of butter, so didn’t miss them. I remember a cousin of mine asking ‘do you make your own butter, Nan?’ So that ever-present, special, delicious plate of butter must have been unfamiliar to her too. Now I add butter to lots of my cooking where it’s not necessarily called for. Daal, tomato soup and silky pasta sauce, for instance, are made all the more savoury when a few dots of butter are stirred through. And pastry of course is, well, buttery-er (and better) when made with real butter. I made my first batch of pastry still living at my parents’ house using margarine. 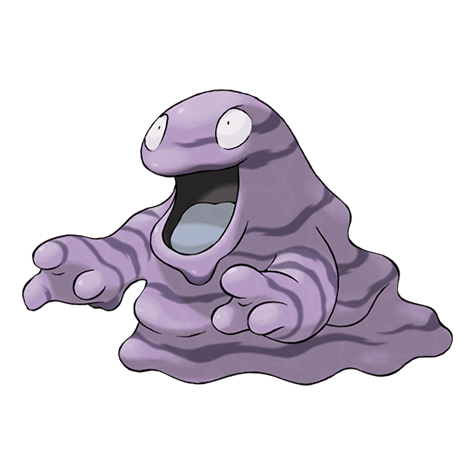 Before being rolled out it looked like a Pokemon called Muk. It was unruly and slouched even once rolled and placed in a dish. It tasted completely fine, and fulfilled its duty to encase my quiche filling: fried lardons, 3 types of cheese, eggs, cream and extra crème fraîche for a very decadent version of quiche Lorraine. Even then, I didn’t miss butter pastry, but I still didn’t know what I was missing. I expect the additional crème fraîche helped too. My next attempt was with my Nan at university. We made an apple pie crust using real butter. It wasn’t expensive, but it was a real, solid block of butter. I was surprised at how easy it was to rub cold butter and flour together, margarine had been too malleable and easy to pummel into oily clumps, rather than powdery bread crumbs. Then when we added water I was surprised again. The pastry came together gradually and calmly, rather than in a slouchy panic like margarine. It was stiff, as it should be, and needed little coaxing or cajoling to create a thick, substantial pie lid, which we laid over stewed apples and brushed with milk and scattered with granulated sugar. We served the pie with vanilla ice cream and the pastry top was as delicious as the sweet and sharp apple filling. Butter had made the whole dish better. And it clicked, finally. Butter is important. I started to connect the dots. It was the butter in my Nan’s quiche that made it so much more delicious than any other I’d tasted. It was the butter in her plum traybake that made it so inescapably… buttery. It was the real butter slathered on toast at breakfast that made it a moment of pure joy. This tart recipe is much simpler than the quiche Lorraine I used to make. Sweet caramelised onions, sharp cheddar, eggs and cream are combined in a pastry case made with flour, water and, you guessed it, unsalted butter. But it is completely satisfying with rich, creamy dairy. Quiches and tarts, when made with butter, always remind me of my Nan, who is still one of the very best cooks I know. We ate this particular tart between hours spent pottering in the garden. Clearing out old autumn leaves, mowing a lawn that had become unruly with passing recent warmer days and sewing the first seeds of spring on our veg patch. It was bliss to come indoors, wash my hands of earth and sit down to something ready to be eaten. It is the perfect tart to accompany a few slices of ham, tomatoes and pickles, which is how we ate it, and I suppose it is my version of a Ploughman’s. Rub together the flour, salt and butter in a large bowl or blitz together in a food processor. Add 4 tbsp cold water and mix or pulse until a dough is formed. Shape into a disc, wrap in clingfilm and chill for 30 minutes. Heat the oil in a large pan and add the onions. Cook over a low heat for at least half an hour until the onions become soft and dark. Preheat the oven to 180c. Once chilled, roll out the pastry on a floured surface until large enough to line a 23cm tart tin. Line the tart tin with the pastry and prick the base with a fork. Line with baking paper and fill with baking beans. Bake for 15 minutes. Remove the paper and beans and bake for 10 minutes more until pale golden and cooked. Trim any overhanging pastry. Turn down the oven to 160c. Beat together the eggs and cream and season with salt and pepper. Scatter ¾ of the cheese into the cooked pastry case followed by the onions, then pour over the egg mix. Scatter over the remaining cheddar and bake for 35-40 minutes until set and golden. Eat warm, at room temperature or chilled.